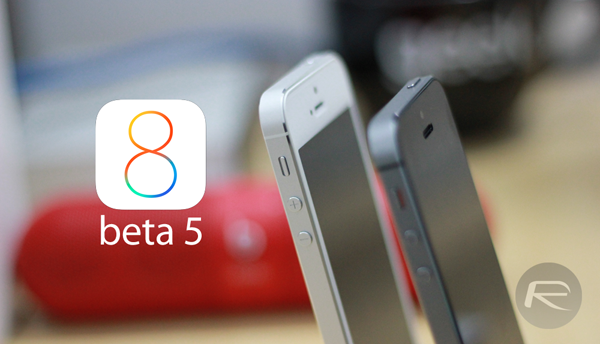 As Apple continues to roll out its iOS 8 betas, the latest to hit development devices is beta 5 and it’s been around for almost a week now. In that time those using the beta on their iPhones and iPads have been discovering new features as well as changes to old ones, and one of those new features has cropped up very recently indeed. 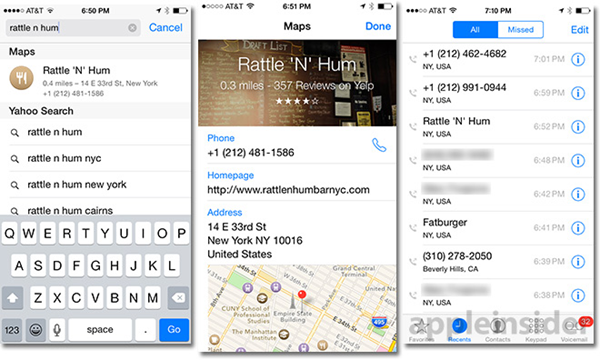 As noted by Apple Insider, it appears that the fifth iOS 8 beta will automatically populate the Phone app’s ‘Recent’ list with information about any phone number that has been dialed via the operating system’s built-in Maps app. In effect, what that means is that someone could theoretically search Maps for a local pizza place and then make a phone call directly from the app and then book a table. Later, when they need directions to that restaurant or perhaps want to check out a menu on its website, they need just find the call in the Phone app and all the information from Maps will be waiting for them. The information that’s carried across from Maps to Phone includes data such as address, Yelp score and the URL of the place’s website if it has one. There’s even a little portion of a map to give users a quick idea of where they need to be headed. As things currently appear to be working within the newest beta, this population of data only seems to work from the Maps app, meaning Siri or other sources of the information are not allowing the same sharing of data. We wouldn’t be surprised if that changed however, with Maps and Phone being the first of Apple’s first-party apps to cross-pollenate. After all, iOS 8 is already known to feature plenty of new APIs and additions that will make it easier for apps to talk to each other. We’ll keep an eye out for more additions over the coming weeks, too.